NOOOO! Summer cannot be almost over. I'm not letting it happen yet - and marketers - can we stop with all the pumpkin spiced things? I actually love pumpkin flavored stuff - BUT NOT EVERYTHING NEEDS TO BE PUMPKIN SPICE'D UP! 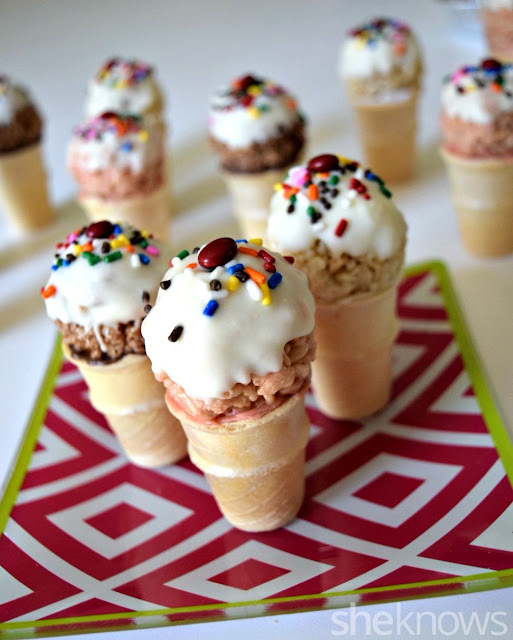 Sorry for yelling so let's make these little ice cream cones instead! And bonus they don't melt in the hot August heat! Which means no drippy sticky kid hands. 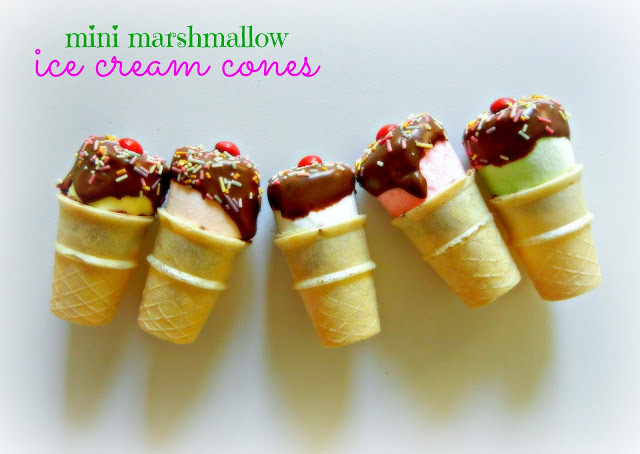 I did them in neapolitan flavors but you can make them in any of your fav ice cream flavors. And you can even stack them with a little melted chocolate. 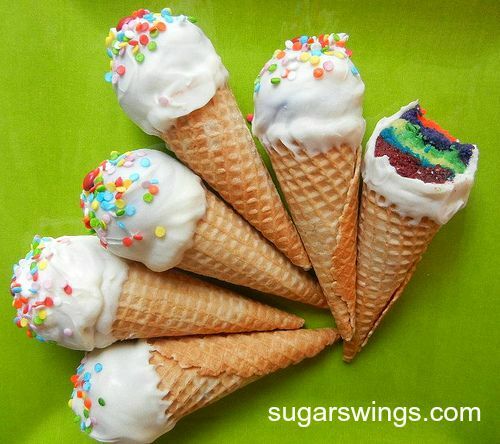 Much easier than regular ice cream cones right? Or better yet have both! See them here at she knows. 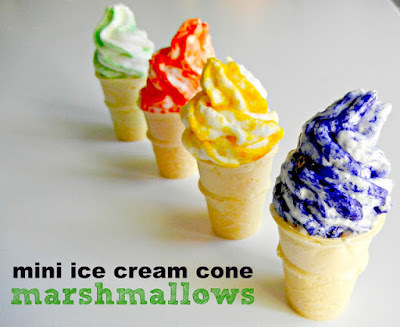 And my most shared post to date! Happy last day of August! Thanks for stopping by! Thank you! I am so with you on that. I am not ready for summer to be over with and I actually saw Halloween stuff inthe stores the other day. HALLOWEEN! Hello people!!! 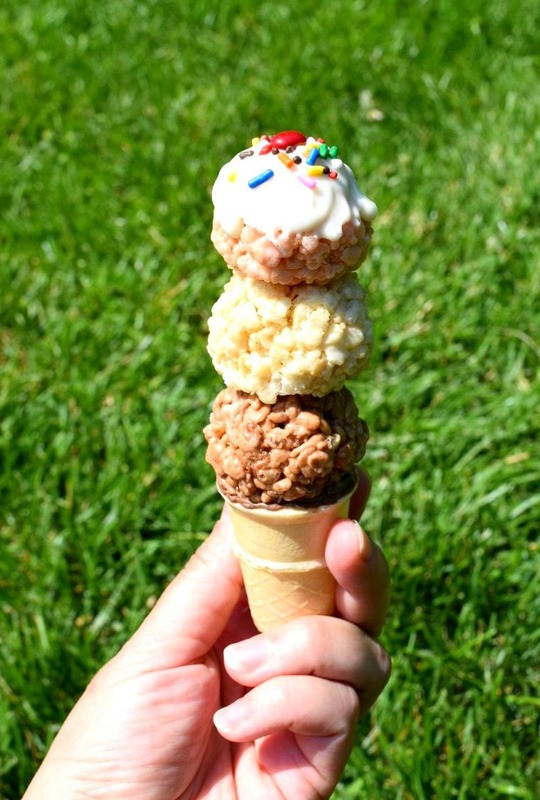 I'll take your little treats over pumpkin spice stuff in September any day. 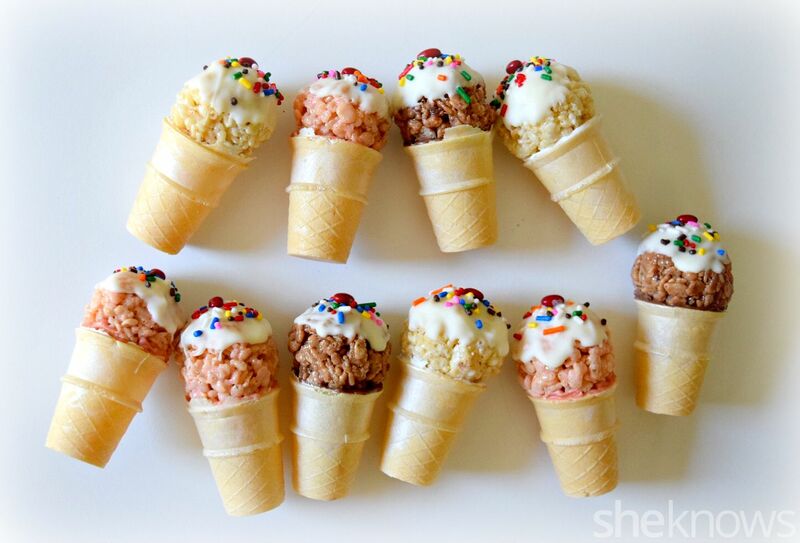 They look delish and heck they're adorable! Thanks Erin! I say the same thing every year and Halloween continues to come faster and faster!